A grand hotel at the corner of Spencer and Little Collins Street is set to return to its heyday as one of the city’s most glamorous attractions, following a multi-million-dollar refurbishment. 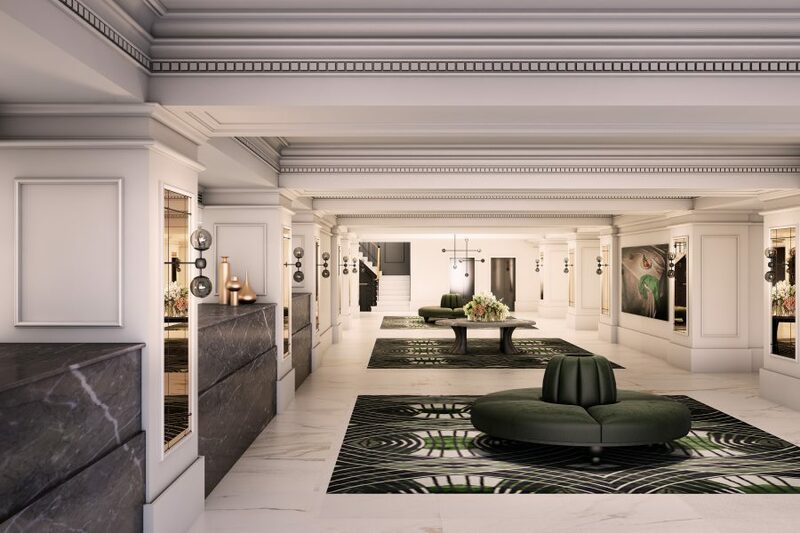 The Savoy Hotel on Little Collins, Melbourne (formerly the Vibe Savoy Hotel Melbourne) will be unveiled in October, under the TFE Hotels Collection brand – a portfolio of beautiful discovery hotels with a sense of story, place and purpose. The stunning design by Woods Bagot will transform the existing Vibe Savoy Hotel Melbourne into The Savoy Hotel on Little Collins. The sophisticated address is in the heart of cosmopolitan Melbourne, with the city’s best boutiques, cool laneways and bars on its doorstep. The design has a modern and inviting appeal that pays tribute to the Art Deco era of the original Hotel Alexander built on the site in 1928. The sophisticated lobby creates an inviting sense of arrival with its warm timbers, smoked mirror and brass elements complemented by luxurious soft furnishings with colourful custom rugs. The Boardroom’s rich palette of timber, leather and stone provides an elegant space ideal for a private dining experience or a business meeting. The level two restaurant will have new-look interiors, playing on a spectacular 10-storey atrium, which fills the space with natural light and is complemented by magnificent chandeliers. The original ballroom is ideal for sophisticated weddings.